How to make Money on YouTube: YouTube is the largest video website in the world and has over one billion users each month. This also means that there is an opportunity for everyone to enter into a partnership with the site to make money from videos. You do this through the ads shown on your videos. This method differs from affiliate marketing because you are paid directly by Google / YouTube. How to Work with YouTube / How to make Money on YouTube? To make money on YouTube, you must first create an account on YouTube. Do this by creating a profile using your Gmail account (if you do not have one, you can create it for free on this link ). The next thing you need to do is make a request to become a YouTube partner - you can do this here . If you've already uploaded videos that have infringed copyright or have violated the site's rules, it might be more difficult to become a partner. You need to be verified with a text message, so YouTube can be sure you are the person you claim to be. Once you've been approved as a partner, you'll benefit from the ads. To do this, you need to create a Google Adsense account. Adsense is Google's advertising department. Creating an Adsense account is pretty simple, but it takes about an hour to get approval. It is important to have an active account and have the content on it. You can see how to create a Google Adsense account here. Once you've created your profile, you have to start uploading videos - these are the ones that will make money if you get enough views. The more people watch videos, the more money you make. Therefore, it is important to make videos with good content, an original idea, proper title and description, and personalized images. The categories of videos that enjoy the most views are health, fitness, games, cars and engines, IT and technology and sports. Work on Youtube can be combined with product testing. When you test products that have been sent to you, you can register and post on YouTube. Many people want to hear the opinion of others about certain products, and in this way you can get many views. It is recommended to take a look at the "make money with your opinion" method since you can earn money here. It's important to keep in mind that you need to have copyright for posted content. It is illegal to use the videos or music of other people without the benefit of their approval. If necessary, read the Google Copyright Guidelines. The profit you can make on YouTube depends on the number of people who see the ads associated with the videos and the number of clicks. Profit may also depend on the displayed ads. It takes a couple of weeks before you start making money, but since the partnership is free, you have nothing to lose if you try, especially if you already have an active YouTube account. It takes a lot of views to make money, so it could be an advantage if you already have an active YouTube account. To achieve the highest level of success on YouTube, it's of course very important to have many views. Most people on YouTube speak and understand English, and in some respects this is the "official" language on YouTube. If you are creating an English channel, the potential view count is much higher than if you created your channel in English, for example. So if you want to make a lot of money, you should create a YouTube channel in English. Another thing that is common with talented Youtubers is that they have many subscribers. In general, subscribers are just people watching your YouTube channel. By doing so, subscribers receive notifications when uploading new videos and are generally among the first people to see them. Attracting as many subscribers as possible is a smart move because you will have stable trackers for your channel. 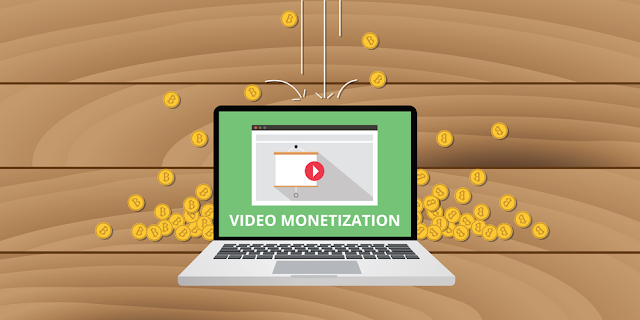 As mentioned earlier, you make money according to the number of video views, and if you have secure trackers, you will be able to create a fixed income. Many Youtubers also use social networks to get subscribers. Social networks such as Facebook, Instagram and Twiter are good promotions for Youtubers. In order to have many followers and subscribers, it is important to give them something to the viewers. So it's not advisable to upload a boring or unnecessary video, since it will not even have views. The best Youtubers can create a great amount of entertainment across the entire YouTube channel, causing people to come back and get them watch videos. If you manage to create good content on your YouTube channel, you have a great chance to make money.